If you maintain a high CIBIL score of 750 and above out of 900 at all times, you can be assured that you will get access to timely credit at competitive rates. Your CIBIL score may just be a three-digit number but in today’s date has immense significance in your life. If you maintain a high CIBIL score of 750 and above out of 900 at all times, you can be assured that you will get access to timely credit at competitive rates. But as much as the need to keep up a good CIBIL score is being widely advocated, not everyone can understand its impact. Most people are confused about why does one’s CIBIL score drop and don’t have a clue as to how to arrest its fall. A few credit fumbles here and there and you may land up with a poor CIBIL score is all that they vaguely know. However, there is no reason to be intimidated as improving or increasing one’s CIBIL score is no rocket science. In fact, it lies in your own hands and you can easily stop your CIBIL score from declining by following financial discipline in these few steps. Credit cards issuers are mostly chasing the young and the upwardly mobile with n-number of credit card offers. Most representatives make the offers sound so good that youngsters end up taking many more credit cards than they need. With simultaneous spending on all such cards, spending patterns go out of hand sooner than they know it and they are left with a mountain of debt. The rule of thumb therefore advocates that you should not be using more than two credit cards at a time and keep a strict vigil on its use. While credit cards are supremely convenient they may wreak a havoc in your financial life. Financial prudence therefore states that you should not buy anything that you can’t afford to pay for in cash with your credit card. A credit card gives you the time to use plastic money in lieu of instant cash, but this is for a limited period of 28-30 days, after which you are expected to pay back your outstanding amount in full. It is therefore a cardinal financial sin to buy anything on your credit card that you otherwise cannot afford or will make a serious dent in your monthly expenses. This is a must do if you are using a credit card. All outstanding bills must be paid off within the stipulated time frame. 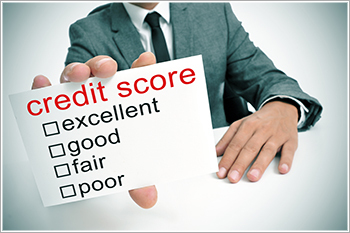 If you follow this essential rule of credit use, there are slim chances of things going wrong with your CIBIL score. The moment you let go of this discipline, it is very easy to lose control and sooner than later you are likely to find yourself in a situation where you are paying off only the minimum amount each month on your credit card and have gotten yourself into a credit trap fair and square! The outstanding payment rule also holds true to all the other types of credit that you are using. If you have availed of any other loans, make sure you keep your accounts furbished for the timely deduction of your EMI from your savings account. Missing a single payment once or twice may not make a difference but if its becomes habitual it will have a negative impact on your CIBIL score. In fact, you should have an emergency fund as a standby at all times that you can dip into anytime that allows you to pay your loan EMIs on time even if anything else goes wrong. Even if you have been granted a high credit limit, make sure that you keep your credit utilization between 30-40% at all times. Credit utilization is also one of the important factors that impact your CIBIL score and it is important to keep this under control in order to maintain a good CIBIL score. A higher credit utilization is not only an indication that your expenses need to be controlled, it can also bring down your CIBIL score. This is another important aspect that most people overlook. Even those who are aware of CIBIL do not bother to check their CIBIL scores because they assume that things are automatically right. But this may not always be the case. Because of the large volumes of data that banks handle, mistakes creep in the dissemination of information about your credit usage that may seriously hamper your CIBIL score. If you do not carry out periodic checks of your CIBIL score and CIBIL report, such discrepancies will only crop up at the time you make a loan application and thus for no fault of yours your loan application may be rejected. It is therefore financially prudent to check your CIBIL score and CIBIL report at least once or twice a year. Thus, as you can see, if you just maintain financial discipline and good credit behaviour you can indeed stop your CIBIL score from a decline. Just as maintaining a good diet and exercise is necessary for your physical health, so is financial discipline for your credit health that in turn leads to a high CIBIL score.